Does your organisation take high volumes of calls or have a lot of people on the phone at any given time? Could you benefit from better understanding when those calls are made, who’s taking them and from having that information at the fingertips at every point during the day? If the answer to those questions is a ‘yes’, then NEC’s InReports could allow you to save time, increase your efficiency and as a result, provide your callers with quicker answer times and a better experience. Almost every organisation taking a decent number of call will see fluctuations throughout the day; whether it’s a doctor’s surgery handling the morning rush for appointments or a educational site responding to queries at the start of a term, they’re an inevitability of everyday working life. In order to be efficient, which is inherently linked to potential cost savings and a better experience for those calling you, it’s vital you understand when calls are being made, how quickly you’re responding to them and in turn, how things could be handled better e.g. by having more people available during peak times. This is the sort of information InReports is designed to provide. InReports gives you a host of easy to understand information about the number of calls you’re taking, and how you’re handling them. Call Lists, Reports, Graphical Data and Wallboards can be viewed in a Web Browser and are available 24/7 to your senior management or communications team. You’ll also be able to store up to 90,000 call records per year internally on your system without the need for extra hardware, particularly handy for those organisations with wider seasonal or term-based fluctuations in call volumes. • You’ll be able to monitor the communications of your entire organisation, allowing you to easily identify peaks and troughs in call volumes. • The system allows you to measure your productivity and efficiency by department, team or individual call handler. 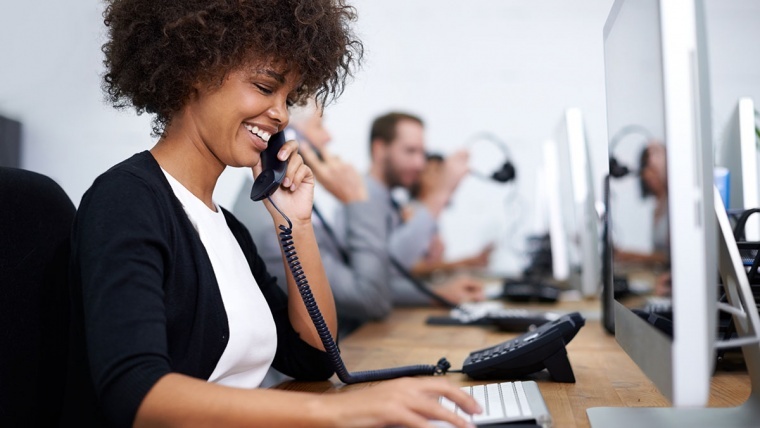 • The above information can help you to manage customer service levels and reduce call abandonment rates (when people hang up through not being able to get answered) by having more people on the phones during peak times. • Having real-time statistics has been proven to motivate teams and improve performance. For more information about the InUP app and how it could help your organisation please contact us on 01237 420010 or email us at ask@equationsvoiceanddata.co.uk.